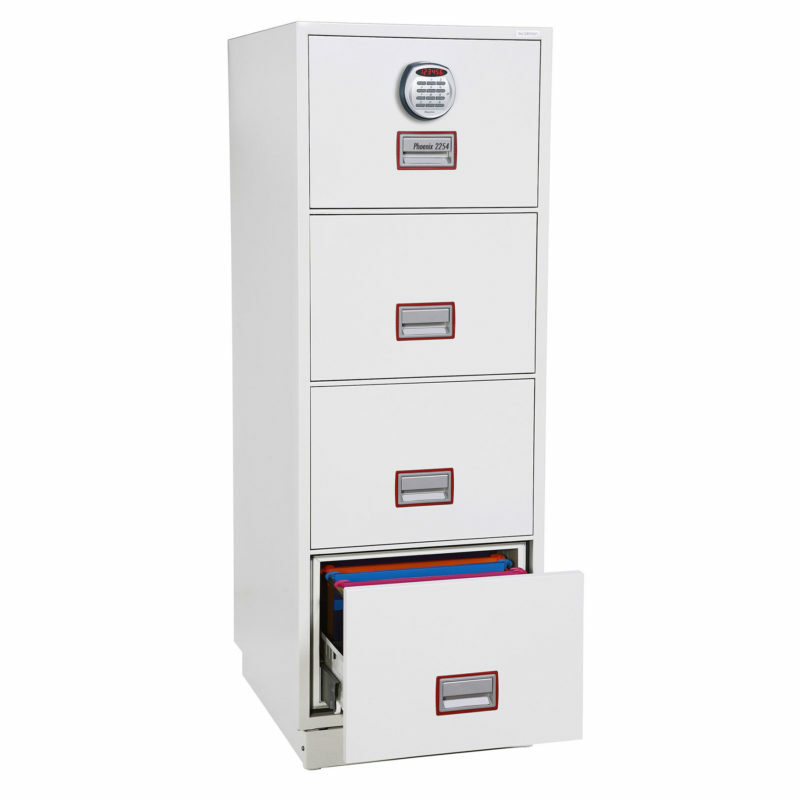 Our Fireproof Filing Cabinets are perfect for any office, allowing efficient storage of documents while also protecting them from even the most extreme of fires. A wide range of configurations are available, ranging from 1 drawer to 4 drawer models in lateral or vertical styles. Our fire files have been independently tested and certified to international fire resistance standards. 1 Hour models have been tested to either the UL 72 or NT FIRE 017 standard and provide up to 60 minutes of fire resistance. 2 Hour models have been tested to UL 72 standards and provide 120 minutes protection, even in temperatures exceeding 1000° Celsius. Certain models have also been subjected to a drop test. With their stylish design, these filing cabinets will fit right in to any office environment.